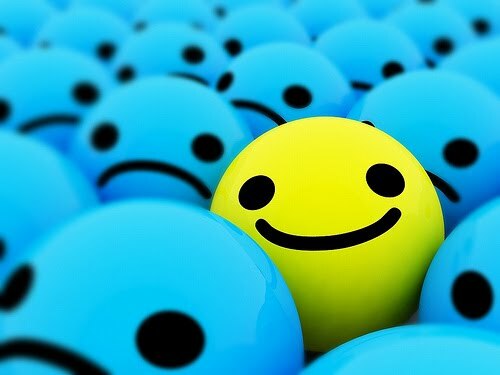 Is the advise "just be positive " useful for IVF patients ? Not all well-meaning advise is useful. Telling an infertile couple to 'Take it easy, just relax' is not going to help anyone. The commonest advise is - Just relax ! Do not stress - do not take any tension ! This advise is even more pronounced during an IVF treatment cycle. If you want your IVF to succeed and the embryos to stick, you've got to go with the flow and not stress out. If you get too stressed out, your uterus will reject the embryos and they will not implant ! This is very unhelpful advise ! Of course there's a lot of stress in an IVF cycle - after all, no one wants to come to Dr Malpani to have a baby ! All my IVF patients are stressed out - and even the hyper ones do get pregnant ! It's true that patients need to learn constructive ways of dealing with this stress but to pretend that there's no tension involved is just being unrealistic. The worry is that this kind of advise leads to blaming the victim. You did not get pregnant because you were too stressed out ! Your IVF cycle failed ( what a cruel word) because you did do not relax enough ! This is hogwash. Don't forget that even a woman who gets raped ( whose stress levels must be through the roof) can get pregnant ! IVF patients understand the importance of optimism. However, many of them are very scared of getting their hopes up . They have been let down too many times in the past so far; and they are worried that if they become too optimistic, the crash down to reality will be much more painful if the cycle fails. This is why many patients keep their expectations low - so that they are better able to cope with failure . Personally, I find a balanced approach the best option. Having a Plan B ready even before starting the IVF cycle can help you better cope with the IVF emotional roller coaster ride !